Your Google Home device is an extremely capable smart speaker. It can play music, let you make hands-free calls, and adjust your thermostat, to name but a few. However, like many people, you might have wished it could perform several actions for you at once, all triggered by a single command. Now, Google Home devices in the United States can do that, thanks to the newly unveiled Routines feature that replaces the My Day settings. When using Routines, you can pick from six groups of actions, all named for different stages of the day. For example, there’s a Good Morning routine and an I’m Home routine, both featuring things you’re likely to do when you get up or arrive back home after being away. Curious about how to activate the Routines feature on your Google Home speaker? Keep reading. Whereas Amazon’s virtual assistant is Alexa and Apple’s is named Siri, the helper inside the Google Home, Home Mini, and Home Max speakers is just called Google Assistant. Begin by opening the Google Home app on your phone. Once it launches, tap the menu icon in the upper-right corner and choose Settings from the menu that appears. Find the Routines section and tap it. Next, choose one of the six available routines. Google’s help documentation for the Routines feature tells you more about what each one can do. For example, the Bedtime routine can put your Android phone on silent, tell you about tomorrow’s weather and the first event on your calendar, set an alarm to wake you up, play music on a sleep timer, and more. After you select a routine, choose one of the activation phrases on the next screen. Google Assistant provides three for you, but you can also set a customized phrase to trigger the routine. On the following screen, checkboxes represent all the actions a routine can feature. Tap each one to select or deselect the actions and suit your preferences. If your home has smart devices that work with Google Home already, you can tap the Adjust Lights, Plugs, and More option from the master routines checklist. After that, the app pulls up a list of applicable smart home devices linked to your Google Home. For each one, you can choose Turn On, Turn Off, or Don’t Change. The last option means the routine won’t take the selected smart device out of its current state. A compatible smart home thermostat is even more specific concerning a Google Assistant routine. By tapping the Adjust Thermostat setting, you can set the temperature you like best. That way, you don’t have to wake up to a cold house or notice it’s too warm when you get back from work. Scroll down to the last option on the checklist, which relates to the volume of audio output. By tapping the Adjust Media Volume option, you can ensure the music, news broadcast, or another kind of audio stimulation that wakes you up isn’t upsettingly jarring. Below the checklist, notice the radio buttons that permit choosing the kind of audio you want to hear. Each possibility has a radio button to the left of it and a settings cog to the right. You can only choose one type of audio, although you can always change your preference later via the app. Tap the settings icon to get more specific about the type of audio you like most. For example, if you make your routine play the news, you can pick sources within settings and arrange them in order of preference. Last fall, Amazon debuted a routines feature for its Alexa devices. Google’s and Amazon’s routines are similar in that they both can give you information about traffic, weather, and news headlines. However, as mentioned earlier, Google groups its routines into six categories of actions you’re likely to take at certain stages of the day. With Alexa, you only set a trigger, then dictate the actions that fall under it. 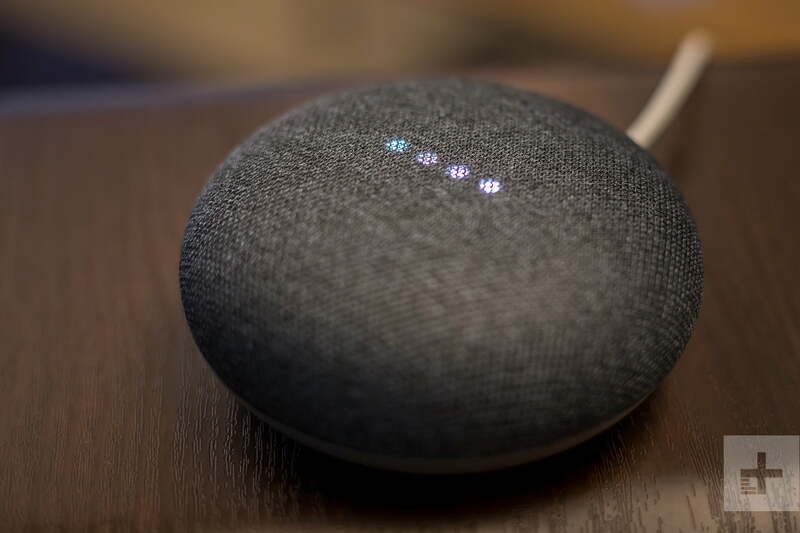 Activating a routine on the Google Home solely involves saying a specific phrase, but an Alexa device responds to the wake phrase and can also be scheduled to make a routine happen periodically, such as every day at a chosen time. Until recently, Amazon’s routines did not offer the ability to play music, much to the dismay of many owners. However, the company now provides that capability. However, Google Assistant can begin playing an audiobook from where you left off as part of a routine. Although Alexa can read Audible audiobooks to you, Amazon’s routines feature doesn’t work with audiobooks yet. If you’re eager to start trying out routines on your Google Home device, the information above is all you need. As people increasingly use Google Home’s Routines and give feedback, expect the available actions to expand, too.